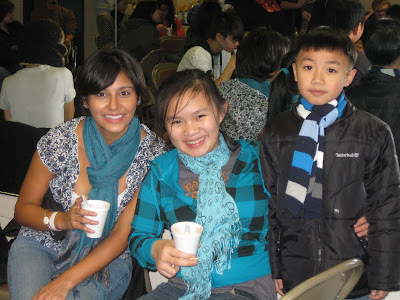 On Saturday, January 23, 2010, the Mentoring Program sponsored an afternoon of ice skating at the Wheaton Ice Arena. Students, mentors, and staff all came together to eat homemade soup, drink hot chocolate, and take a few laps around the rink. For many people, youth and adults alike, the experience was a completely new one. For those, falls, bumps, and scrapes happened. Thankfully, no one was injured beyond pride and red hands. 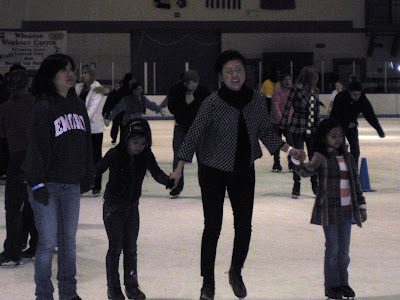 Of course, some of the AALEAD'ers were actually quite skilled out on the ice. We got to see some backwards skating, racing, and little tricks. What show-offs!! Thanks to all who attended and we hope you enjoyed the day! AALEAD goes to a Wizard's Game! MLK DAY in DC with Accenture Volunteers! EAS starts the year with "Going Green".